Thursdays have always been lucky for Annie Fetlock. She was born on a Thursday. She won her first cooking contest at the age of eight on a Thursday. She met the love of her life, Mario, on a Thursday. They were married on a bright Thursday afternoon and their two children were both born on a Thursday. Annie is known far and wide for her Poke Pasta Salad and has the most popular restaurant for miles around. When Mario suddenly passes away, Annie’s joy and love of cooking disappears. When a lonely cat appears, Annie takes the kitty in, and, of course, calls it Thursday -- and she's back making Poke Salad in no time. 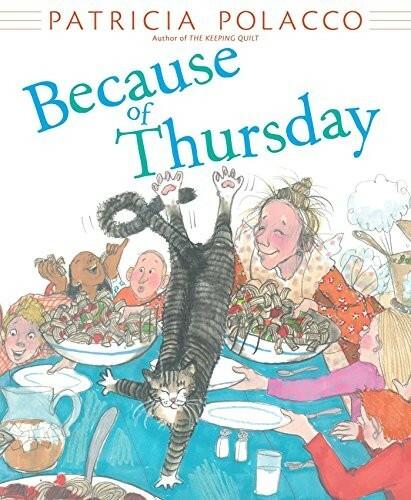 Thursday the cat is known for amazing twirls and tricks, and one day his twirls land him in Annie’s draining rigatoni, causing a horrible mess. That big mess, though, was delicious enough to become Ugly Pasta, the dish that would make Annie famous for miles around. 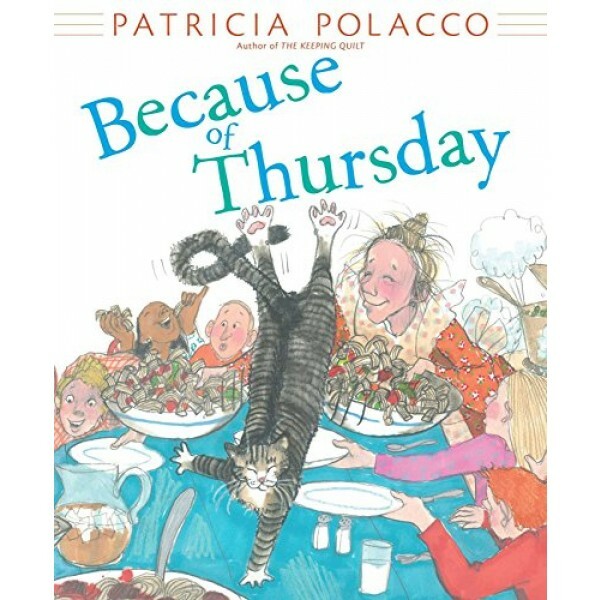 From critically acclaimed author Patricia Polacco comes a heartwarming story about a girl named Annie, her lucky Thursdays, and a special cat who comes into her life just in time to make everything right.